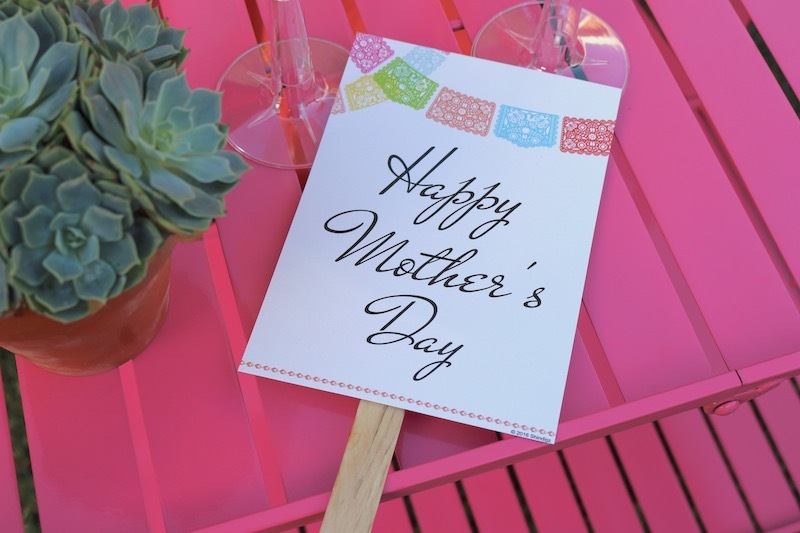 Mother's Day is the perfect time to gather and celebrate the remarkable Women in our lives! Either way you celebrate, you can pull off a muy bueno Mother's Day fiesta, with lots of great items from Shindigz! 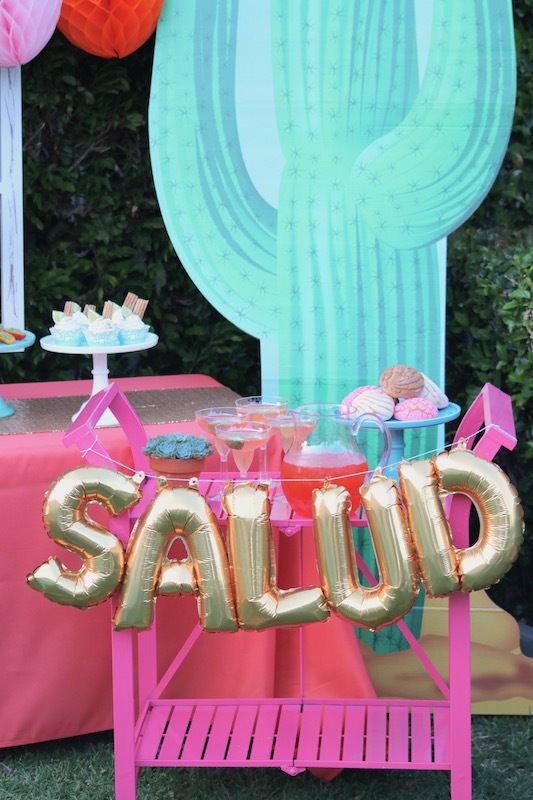 You'll even find some tall cactus cardboard standees to help bring your party theme together. 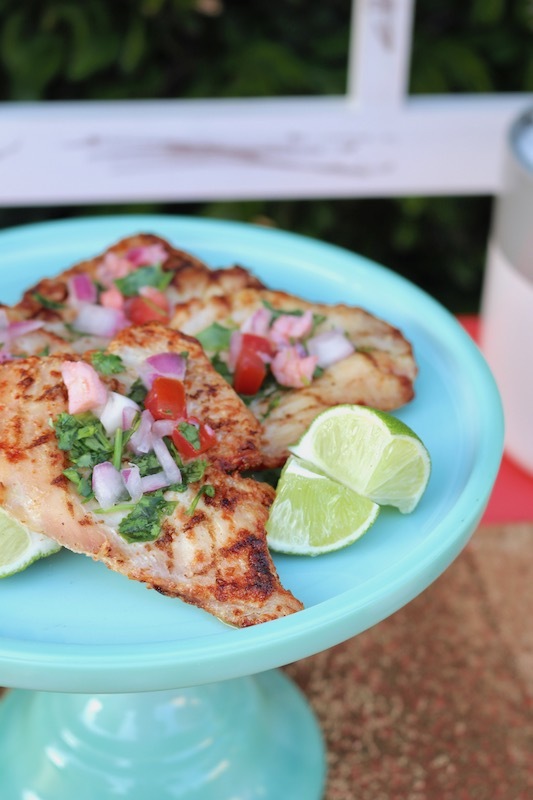 Start planning your event with a delicious menu. 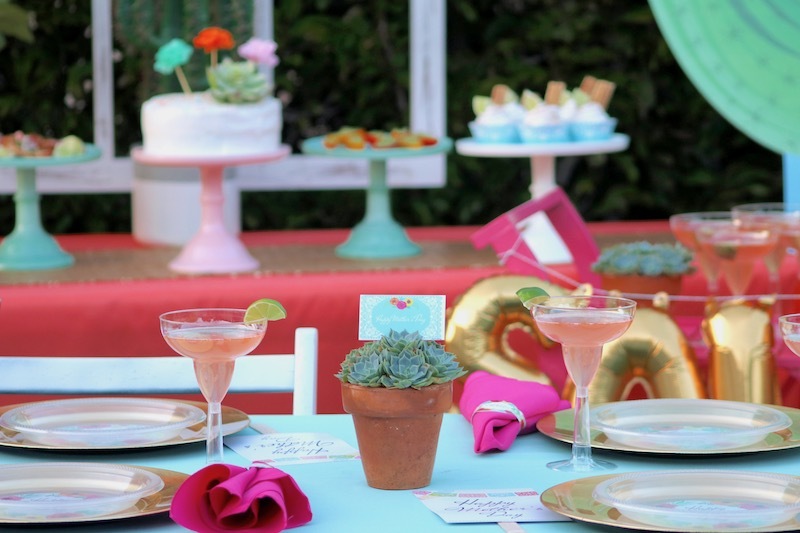 Once you have the details squared away, start gathering decor ideas by dreaming up a theme, with beautiful colors. 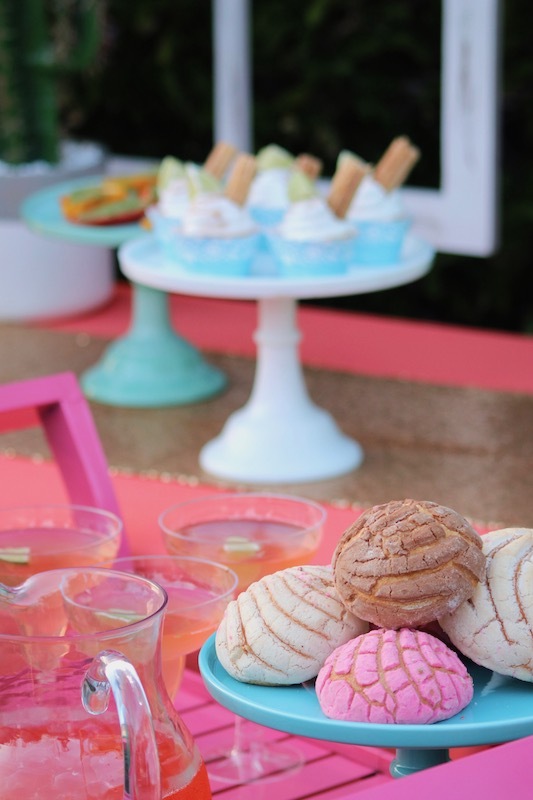 Wow your guests with a beautiful party table that displays all the delicious food. 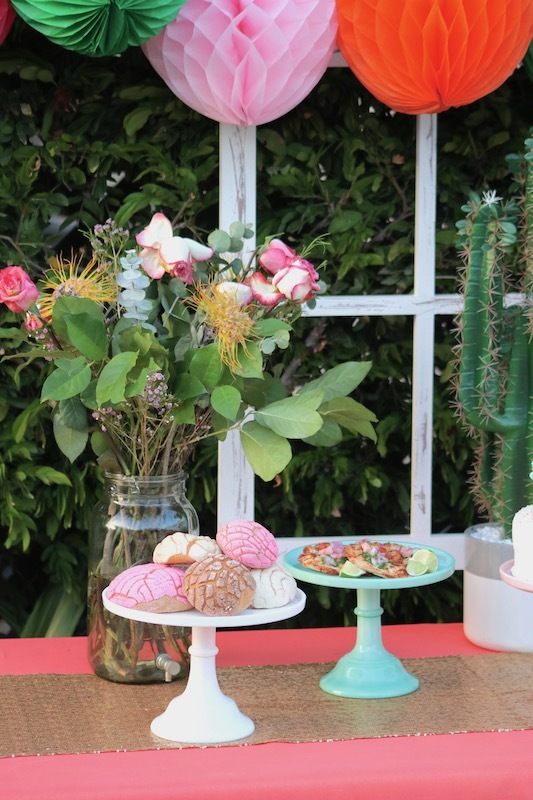 Create some eye-catching details by adding a colorful cluster of tissue paper balls and suspend them over your table. 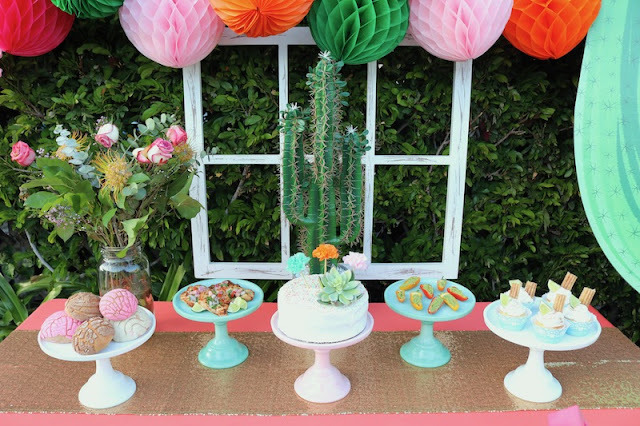 Add a main focal point with a weathered wood window frame and finish off the look with a pretty coral table linen and a sparkly gold sequin table runner. 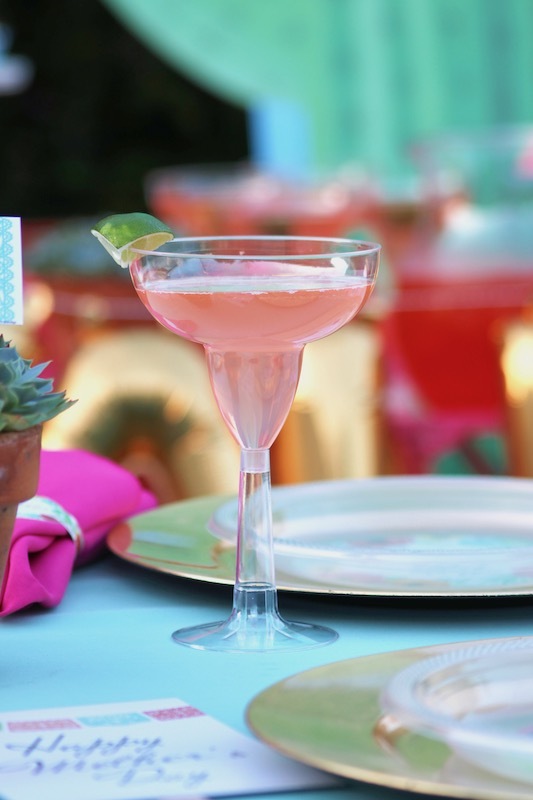 Make your guests feel important by creating special little details, such as a personalized menu card. 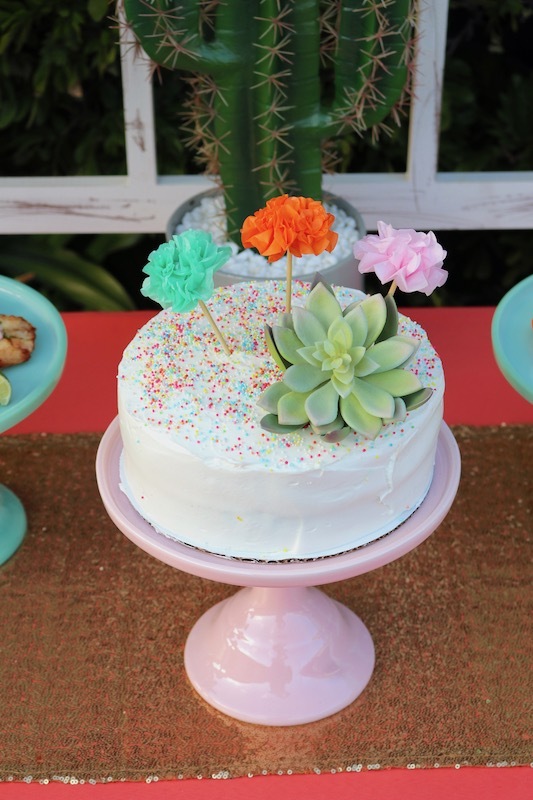 The Forever Fiesta theme offers so many pretty themed products. I couldn't wait to create a celebration around all the festive colors. 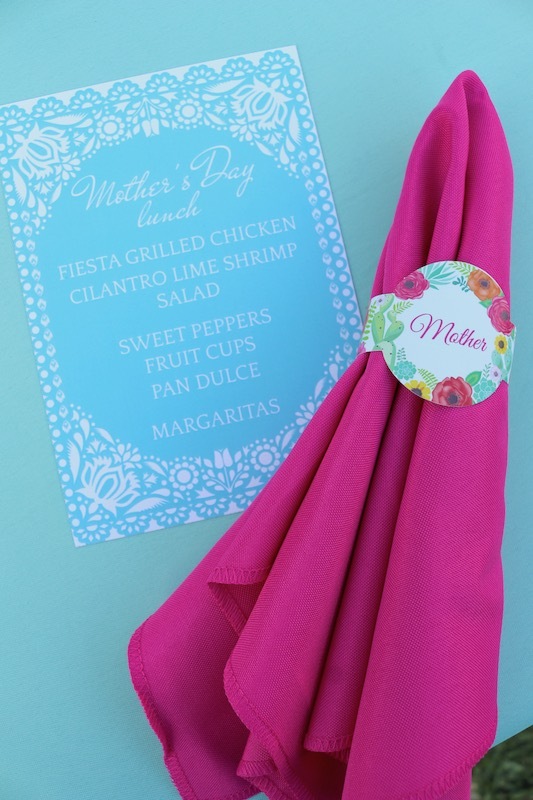 Hot pink napkins will look inviting and pretty with a personalized napkin ring. Coordinate the menu with your party decor. 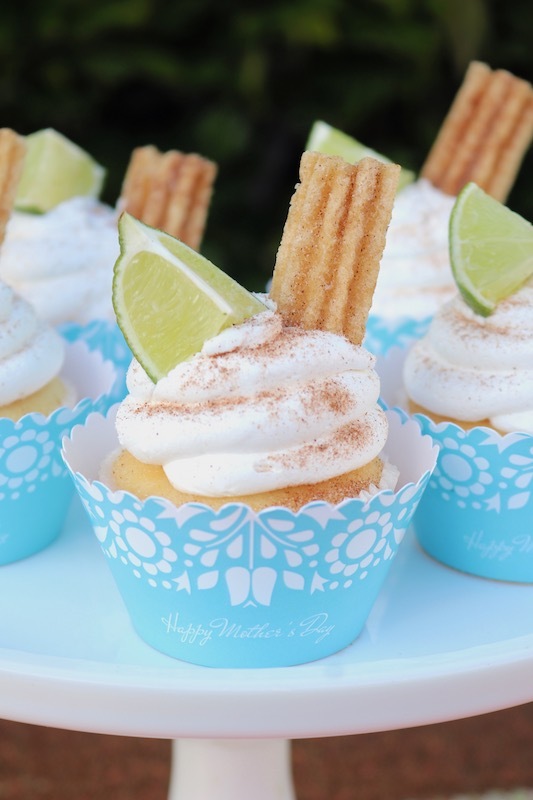 Churro and lime topped cupcakes will look fiesta ready in the Forever Fiesta personalized cupcake wrappers. An inviting tablescape, with lots of special touches, will have your guests smiling and feeling welcome. 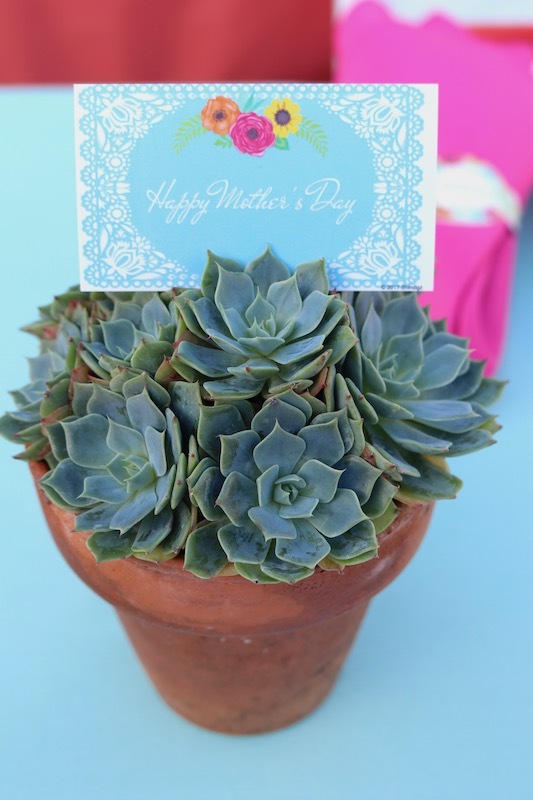 Personalized Forever Fiesta Place Cards will add a nice detail to a pot of fresh succulents. 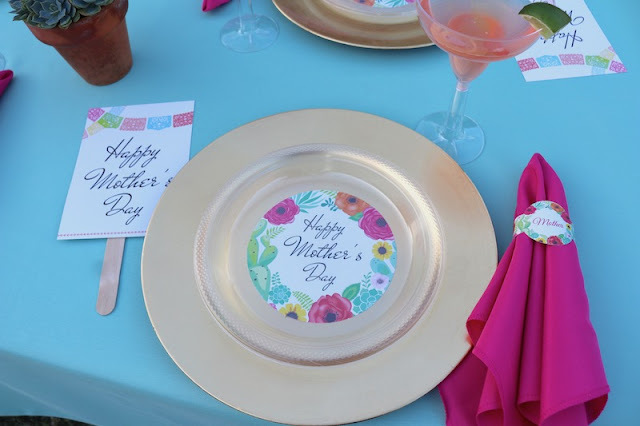 Set out personalized fans at each place setting; they're perfect for any outdoor gatherings, and they're very easy to assemble! 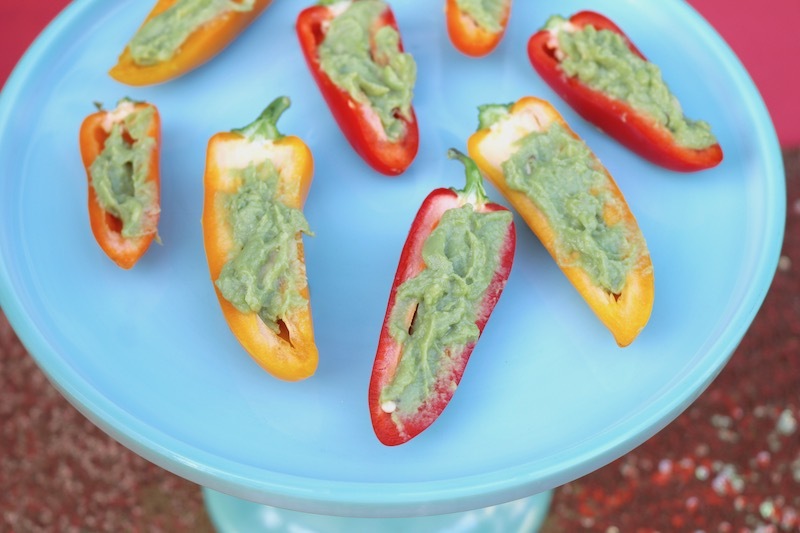 Pair your dinner plates with a pretty gold charger. 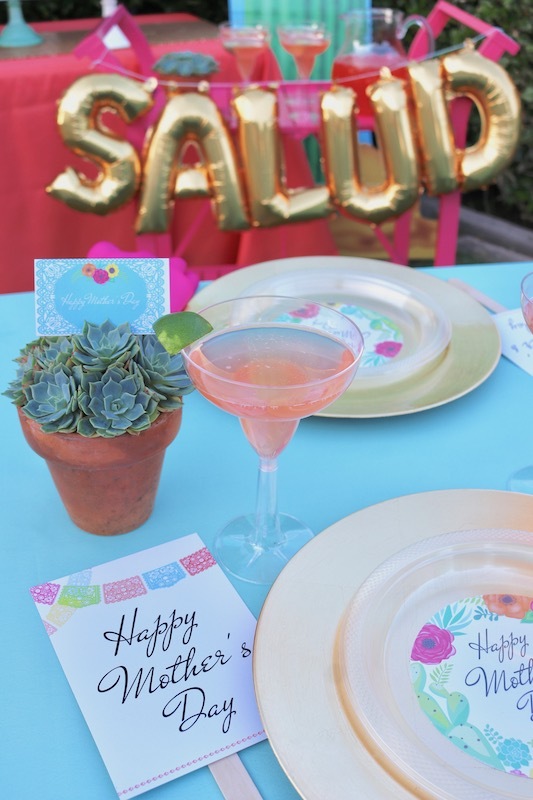 Take personalized Forever Fiesta cutouts and set it on top of the gold chargers. 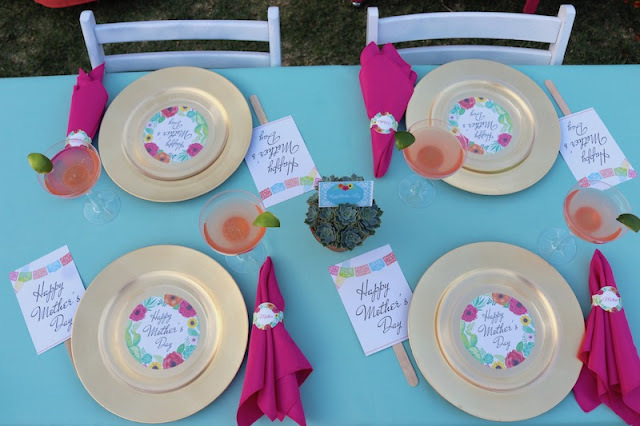 Set clear plastic plates on top of the chargers and cutout, and you've got yourself an easy way to personalize your party and bring all the decor to life! A Fiesta would not be complete without a fun bar cart filled with tasty beverages! 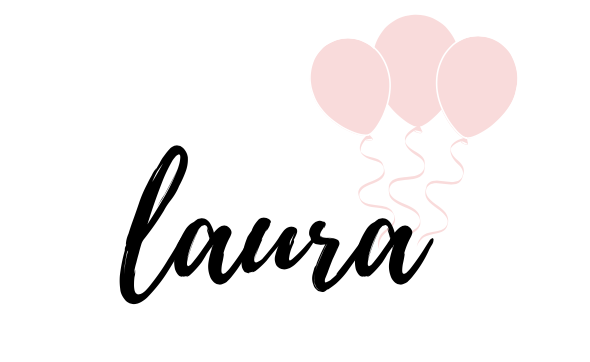 Balloons are a fabulous way to make any party setting more festive! 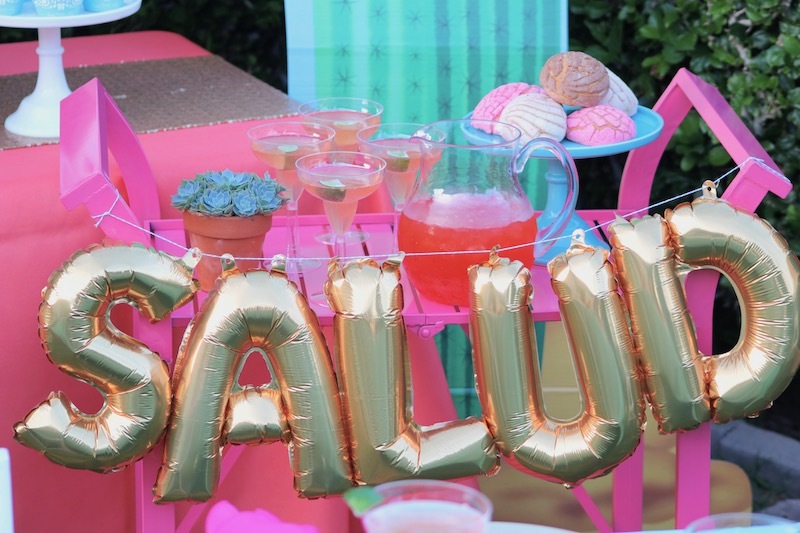 Spell out a salutation with gold letter balloons, and get the party started! 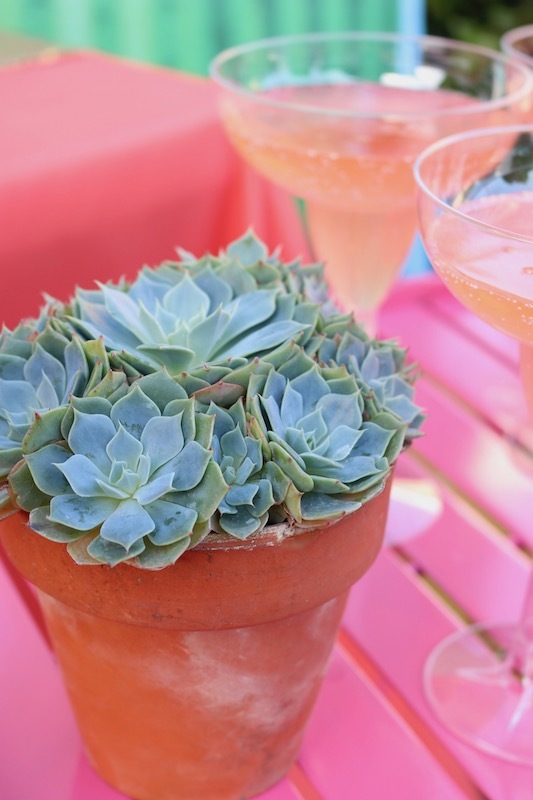 Have some beverages ready to go in easy to grab margarita glasses. Creating a festive Mother's Day celebration can be fun and easy, thanks to Shindigz! 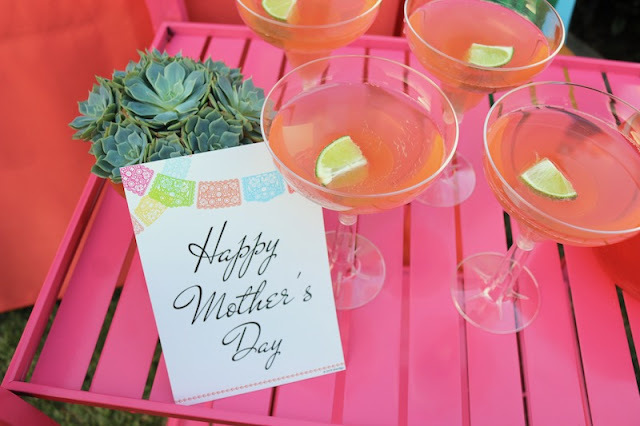 I hope you've been inspired to celebrate the special Women in your life!